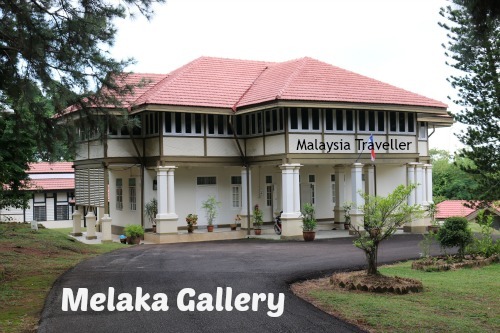 Melaka Gallery is one of Melaka’s less well known museums. It is located outside the core tourist area, at Bukit Peringgit which is a low hill dotted with well preserved colonial-era bungalows amid manicured gardens. Most of these spacious bungalows are today occupied by senior Melaka Government officials and a few have been converted into museums such as this one. The gallery is adjacent to the Melaka Chief Ministers’ Gallery and one ticket pays for admission to both galleries. A helpful guide from the Melaka Museums Corporation (PERZIM) kindly showed me around both galleries and provided knowledgeable answers to my questions. 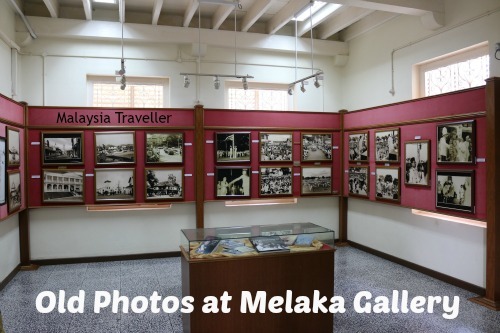 The bulk of the ground floor is given over to photo galleries showing Malacca scenes from colonial times, the Independence handover celebrations and major events after Independence. The photo on the left shows the bridge leading to Jonker Walk, past where Hard Rock Cafe now stands. 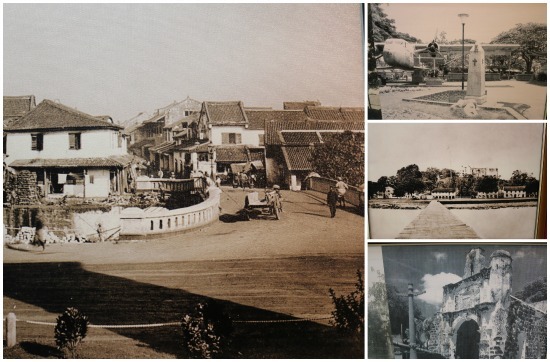 The black and white photos of old Malacca were the most interesting for me. The banks of the Malacca River were much untidier those days and the town looked impoverished compared to nowadays. 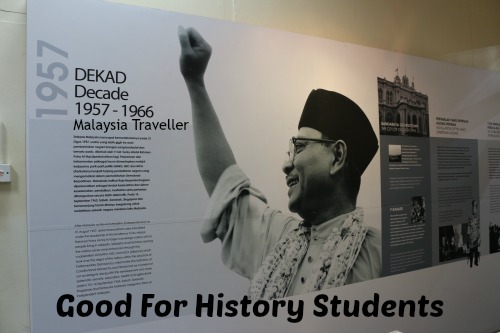 Upstairs has wall displays charting the progress of Malaysia over the decades since Independence. Ticket price includes the Melaka Chief Ministers Gallery next door. This museum is OK for history buffs but there is little of interest for children or casual tourists. It is nice to see inside a well preserved colonial-era bungalow. Indeed the whole of the Bukit Peringgit area is one of Malaysia's best surviving examples of a British-era government bungalow compound. Since the ticket price includes the Chief Ministers Gallery next door this makes it better value for money and it is worth seeing both. In addition to the Melaka Chief Ministers’ Gallery next door, the Macau Gallery Melaka is also within walking distance of the Melaka Gallery.